Please read our frequently asked questions before contacting us to ensure efficient communication. Do I have to be over 21 to come in? Yes. Everyone must be 21 and over with valid identification. There is street parking. Get directions here. Our games accept Barcade tokens only. How much are the games to play? Each token costs 25¢. Most of the games are 1 token to play. 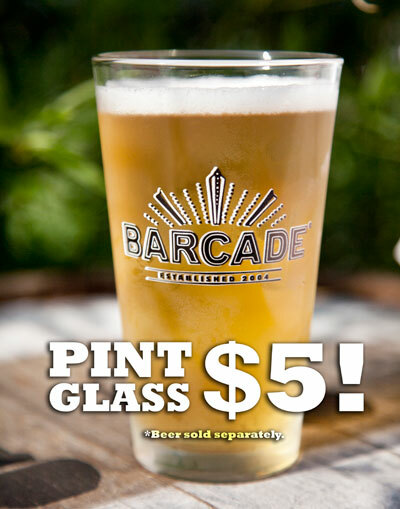 Each Barcade token costs 25¢. We have at least two token machines on site. They accept anything from a $1 bill to a $20 bill. Can I redeem my tokens for cash? 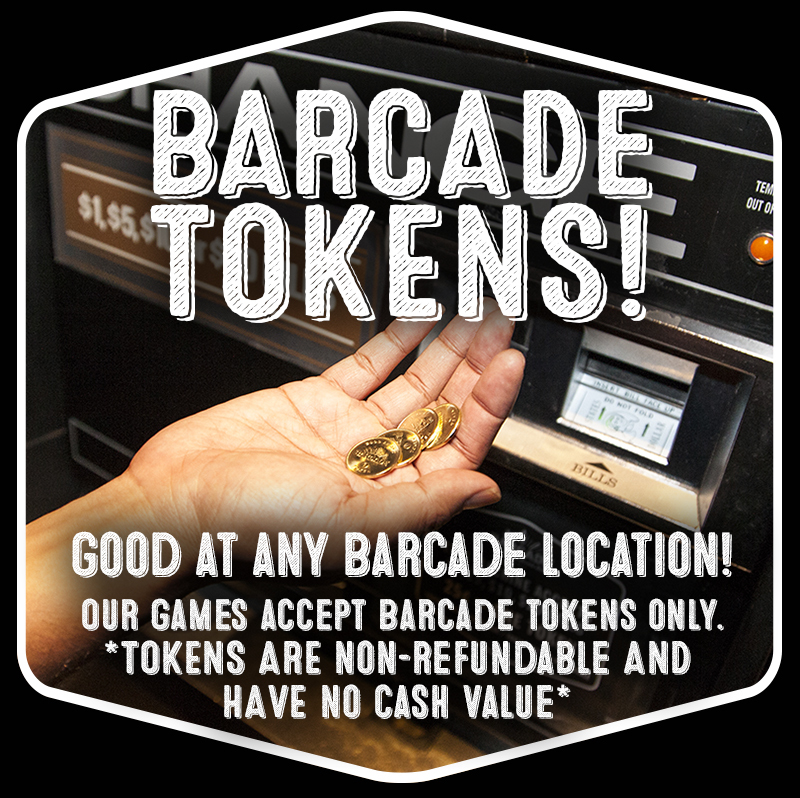 No, Barcade tokens are non-refundable and have no cash value. They never expire however, and are good at any Barcade location. Do you have pinball machines? Yes! See our Philly game gallery page. I went to your location and two games ate my tokens and another had a broken button. What’s up with that? Our games are 20-40 years old and do break quite frequently. We always have a manager on staff who can address an issue you may have with a game. Just ask at the bar or look around for an employee. Its important to always let us know if you have a problem with a game as it will help us address the issue promptly. You guys have the game on? We do! All things Philly will be on! Do you accept credit cards and/or have an ATM on site? Yes! They can be purchased on location or online. Gift cards can be used at all Barcade® locations. No. But we do play a very eclectic mix of rock music! See what’s playing now! Are there private rooms we can reserve for a party? We do not have any private rooms at this location. Can I reserve a table or tables for my party? We may be able to reserve a table for your group on Sundays through Thursdays. Contact us for more info. Restrictions apply and subject to availability. Can I get special pricing for my party? Yes, for large groups, you can find our party packages on our Contact page. Can I have an exclusive, private party? Yes, Sundays through Thursdays may be available. Contact us for more info. Can I have an exclusive, private party on a Friday or Saturday? Not usually. But if money is no object, let’s talk! Contact us. I have a customer service issue. Why didn’t you respond to me on Twitter (or other social media platform)? There is a manager on site at all times. Please ask to see the manager with any customer service issues for immediate assistance. Or call us at 215-634-4400 or email us at info@barcadephiladelphia.com. Larger issue than that? Email us at info@barcade.com. Are there other Barcade locations? We currently have locations in Brooklyn, New York City, Jersey City, Philadelphia, New Haven and Newark. Please visit barcade.com for more information. Will you buy my old video game? Possibly. If you have a game to sell, send details and photos to info@barcade.com . Will you buy my barn FULL of video games? Yes! Send an email to us at info@barcade.com . Do you rent games for film/TV/photo shoots or events? Yes! We have an extensive inventory of games from all eras. Email us at info@barcade.com. Do you own the name “Barcade”? Yes, Barcade is a registered federal and international trademark. Why do you call yourselves “The Original Arcade Bar”? We are certainly not the first bar in history to have arcade games in it. However, we opened in October 2004 with a business model specifically aimed at combining a craft beer bar and a classic arcade. Our original location is widely credited as the inspiration behind the current arcade bar trend and for popularizing the concept. Can I license a Barcade franchise? Barcade is a privately owned company. We do not currently have plans to offer franchise locations.